Beyond the scope of our imagination, life on marine debris is artistically beautiful, despite the potentially harmful environment that they are cultured in. 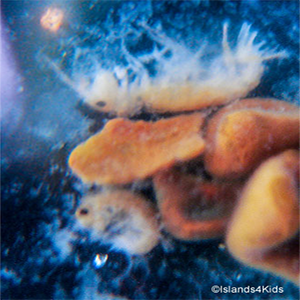 This is ulva intestinalis (group of green algae) grown on plastic marine debris. 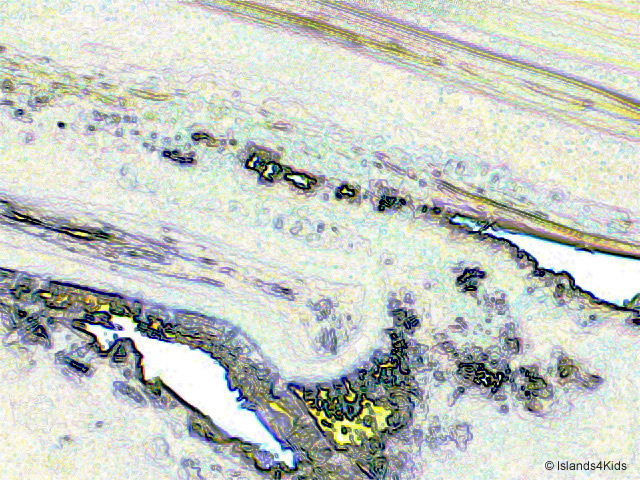 Through this filtered image, we can see the microscopic tissue composition. Composition of bio-film (2nd layer) is a key factor of conditioned preference for colonization of macro fouling (3rd layer). (ref. 2005 Japanese Industrial Standards Committee). Copyright © ISLANDS4KIDS All Rights Reserved.